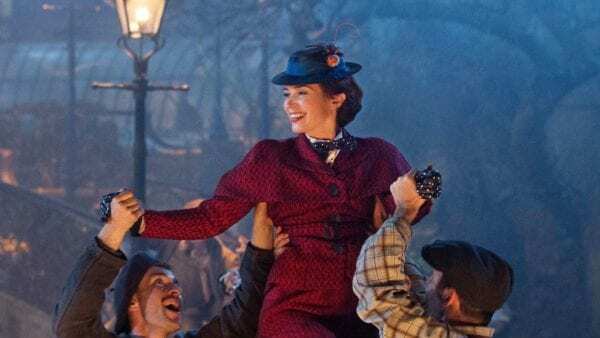 Red Stewart chats with Mike Prestwood Smith and Michael Keller about Mary Poppins Returns…. Mike Prestwood Smith and Michael Keller are re-recording mixers who have been working in the film and television industries since the 1990s. 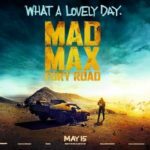 Smith is best known for his work on movies like Hellboy II, Casino Royale, and The Hunger Games, while Keller is best known for his work on projects like The Spongebob Squarepants Movie, Eight Below, and Batman v Superman: Dawn of Justice. Gentlemen, thank you so much for talking with me. You’ve both worked on some of my favorite movies of all time. First off, congratulations on the success of the movie, I know you put months of your lives into these projects and you never know if people will respond positively, so I’m glad that your work has been recognized by critics and fans. Especially since this is a sequel to an established movie with a huge base. Keller – Yeah, thank you. You never know what audiences are looking for, especially around Christmas time, right? Right, that’s absolutely true. 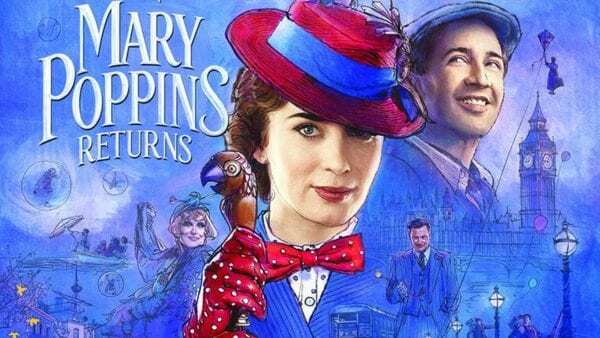 Before we talk about Mary Poppins Returns, I was wondering. I spoke to another person in the industry who works on sound, and he told me something interesting which is that, because of the progression of technology, dedicated mixing roles are declining since you can incorporate it into the sound editing. I’m wondering, given that you two are dedicated re-recording mixers, have any of you seen this polymorphization happen, and, if so, how has it affected you? Smith – Yeah, absolutely. I think technology has come a long way, and back in the day, if you were editing, you really were just making choices about which sounds rather than how they were played and how loud things were. And it’s good to see that process happening because it means that some of the work gets done before the mix point- a lot of the logistics in particular are taken care of before the dub stages, which should be a creative place and not too much of a logistics place. So it’s great to have a lot of those choices made prior to that. Ultimately, though, there’s a real craft to mixing that’s not just about choices up and down. It’s about a lot of other factors, techniques, and craft that can take years to understand how best to work them. And you don’t really get the opportunity to apply those crafts until you have every component at your fingertips. So, after that it’s just working on that section of the film, and the filmmakers thoughts on what they want. But they’re dealing with their part of the movie rather than the whole movie. Combine that with the fact that the music comes in extremely late, because it’s late into the picture to get finished, and at the very last minute everyone’s got an idea of what the sound should be. There’s no identity until you get to the dub stage where all of the components come together and a mixer can truly bring his or her craft to bear on getting those sounds altogether and uncommonly making the difficult choices that have to be made at that point. Often I think the other part about mixers is that there’s an impartiality that’s required. If you’ve worked on something for a long time, you become quite attached to the bit that you’re on, and one of the things that a mixer has to be able to do is make hard choices. You know, you could be throwing out months of work, throwing the sound design away or the music or a component that’s had a lot of love put into it. Until all those pieces are together, it’s hard for anyone to make those choices. And I believe filmmakers need a conduit for that, and that conduit needs to be impartial, it needs to be someone without any real history with any part of it. 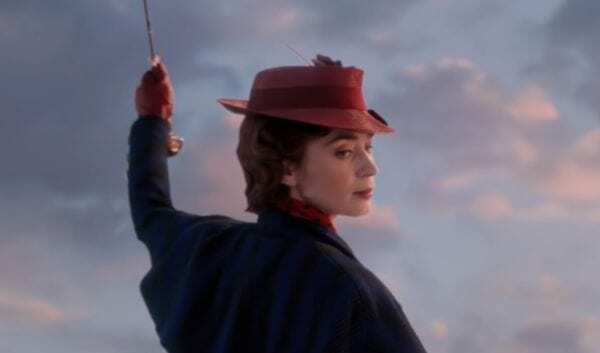 So the craft of mixing itself, especially in a complex movie like Mary Poppins Returns or a high dent action movie, has a lot of craft involved in getting things to read and getting things to work and getting the viewer to believe that he or she is hearing everything that they need to hear. There’s a lot of craft, and impartiality is a huge component at that stage. The role of a mixer, and maybe I’m biased here, but I think it’s hugely important to have someone in that position. Keller – Yeah, Mike’s definitely right. From a technical standpoint, we all use the same gear at this point; designers use Pro Tools we use Pro Tools, you pick a controller and we ultimately use the same device. So from a technical standpoint, everybody knows everything. But Mike’s absolutely right that to be impartial is key because there are scenarios where sound designers mix the effects and then a mix might turn out sound effects heavy. If you have a scoring mixer or a composing mixer mix his/her own score, he or she will want to hear as much score as possible, which is totally understandable. If you work a year on a soundtrack on your own or with your team without playing all the components together, the dialogue, ADR, sound effects, and so forth, you obviously fall in love with your own material. And we are more impartial with regard to those things because we haven’t spent that much time on them. And for us, when we do our first overview, we go in with an ax and we’re trying to figure out which bits and pieces work best together. And then the designers become aware of what works best together because now you got temp score played at the proper level, or you might even have a mark-up score that is orchestrated, such as the Mary Poppins score, and then you know what you’re, not really competing with, but what works best tonality wise. So you have a string line and then you have a distant car horn and it’s just rubbed in-key. For the next round around they can address that and you now know to pick a different car horn. And being impartial, we make those choices much quicker because we’re not at attached to it. Frankie Montana, who’s a very talented effects mixer as well, said it best: “if you don’t do it every day, whatever it is, you are not at a 100 percent.” So as soon as you try to mix dialogue, you are at 80% at best. And I think, as a mixer, you have your technique and you have your way of working to get through a lot of material very quickly, especially in temp dubs where you might have three days, you might have 15 days, like we had on Mary Poppins, to get through it, to make it shine. And sometimes, be it producers or studio people that obviously want to save money in the early stages by getting through a temp dub quickly, they might do it with no mixer and then edit or they might do it in a tiny room with only a designer and put it together. And there are two sides to that: one, I agree with saving money, that there is more money left over in a large room with everybody playing together, but on the other hand you are trying to show your movie for the first time to either a studio or to a receiving audience, and if you cut corners early on and it doesn’t perform as well and people don’t get the emotional impact because it hasn’t been mixed the way it should be mixed due to the lack of time and the movie doesn’t show the proper numbers, then obviously studio people and everybody gets nervous. And it’s not necessary if you spent the right amount of time with the proper crew on it. No, I agree entirely. You know, cutting corners is one of those things that, as you said, can start a cycle where it results in a movie getting negative reception, and then the response to that negative reception is just to cut more corners. And so it’s always best not to. And to your point earlier about the consolidation of technology, there was always this fear in digital humanities, I think it was called the black box syndrome: this fear that all technology would be consolidated into a single black box. And it’s been consistently proven to be silly because there’s always room for multiple industries, and certainly multiple departments within those industries. Smith – Yeah, we all take hundreds of photos every day, but it doesn’t make us great photographers. The incredible work that sound designers and editors do gets brought to the stage in great shape, which helps us, as mixers, get over the hurdle of all of that and get into the crazy work of making the bigger choices and making it sound like a movie. So yeah, what I’m saying is that shaping technology, as long as it’s treated cautiously, can be immensely collaborative and incredibly useful. And I would hate to go back to the dark ages when they didn’t have it. So I’m a big fan of it. Keller – No exactly, and especially if everybody gets the same time- if the designers get the time that they have and that they need to do their job at recording design, and then especially the pre-planning, for me, on the effects side. You know, stuff’s flying all over the place and it’s so cool and it saves so much time on my end. And then, as Mike said, once we get it, it’s in really good shape already and we can fine tune it. Where I think the movie suffers is if you go in with that idea and you say “oh, now we only need half as much mixing time.” I think that’s where the movie suffers, and it happens more and more and we’re obviously trying to educate people that “just because things are pre-planned, we should still finesse it as much as we always have in the final.” And then it’s a win-win: you really get a movie to a hundred percent where everybody’s happy in the end and the proper time is allowed. No I agree entirely, and I hope that that philosophy is maintained as the industry progresses into the future. Now you both previously worked together on several movies before- you did Savages, Seventh Son, and Into the Woods amongst others. In terms of sound, what’s the biggest difference between collaborating for the first time versus collaborating after an established relationship? Smith – Well, you learn what not to say to each other [laughs]. Smith – No honestly, having a show of hands with anybody creatively is an incredible achievement really. To have experience and be able to convey quite complicated feelings by just looking at one another can give you a massive leg-up into getting some work done and getting into the creative zone rather than just plowing through the logistics. And Michael and I have had a show of hands for many years that has come through experience. It’s like any collaboration with people, it’s a precious thing and it’s very valuable. I think filmmakers understand that having key crew that have that shorthand is going to get them to that place that they want to be quicker and more efficiently. So it’s an immensely valuable thing to have. Keller – And I would say that we lucked out because we both have very similar tastes. And there’s certainly other effects mixers or dialogue mixers who are approaching things differently. You may have a dialogue-music mixer who shuts everything off and starts working on the music and makes sure that every little piccolo line is heard through a giant carriage race, like in our movie, and then I come in and say “well, I don’t have a chance in hell, because you have filled up every single frame of the movie with every instrument that’s available.” And Marc Shaiman, our composer, certainly likes a lot of instruments, and it’s a very thick score. But if you have somebody like Mike, he shapes the music around dialogue and sound effects before you even hear the sound effects; he knows where the peaks and values are. If there’s a big explosion, for example, it’s not a surreal moment and I’ll almost likely hit that so that there’s no need to ram a giant orchestra sound through it. And vice-versa. When I clean-up and Mike’s not in the room and I listen to temp dialogue and temp music, I work the same way around where I listen to the music and I know “okay, here’s the gear change in the score: I’m not going to plow through it, I’m going to pick my spot.” And then once we all get together in the room, it actually plays fairly well. Obviously there are still weeks and weeks of finessing going on, but if you have a shorthand like Mike said, then it’s a real pleasure and it’s not a fight and there are certainly other movies and teams where it’s harder because everybody figures they need to hear all their stuff all the time and it’s the same, as we just said earlier, that the designer probably wants to hear more design than music and the composer would want to hear more music than sound effects. So the shorthand is key. And with Mike, I certainly love working with him because we have a similar style.